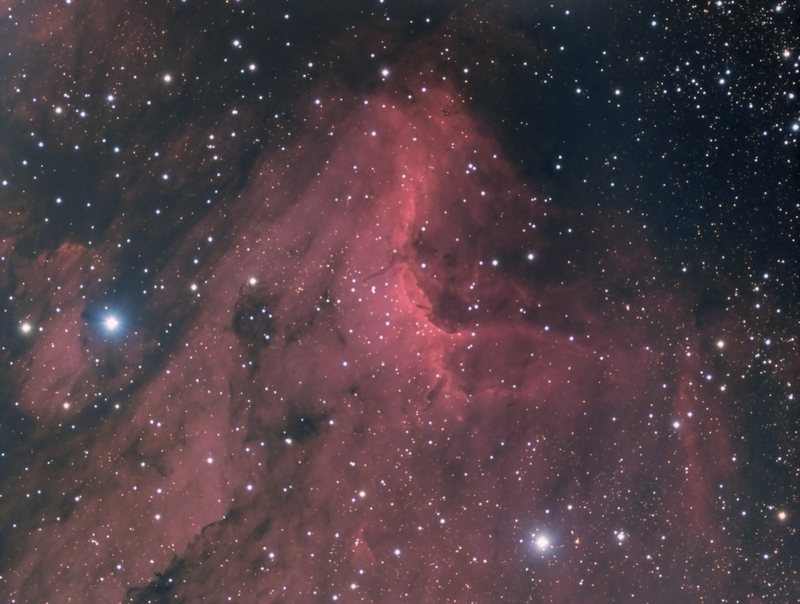 IC5070, known as the Pelican Nebula, is a H II region associated with the North American Nebula in the constellation Cygnus. A molecular cloud filled with dark dust separates IC5070 from the North American Nebula, which is out of frame to the left on this image. 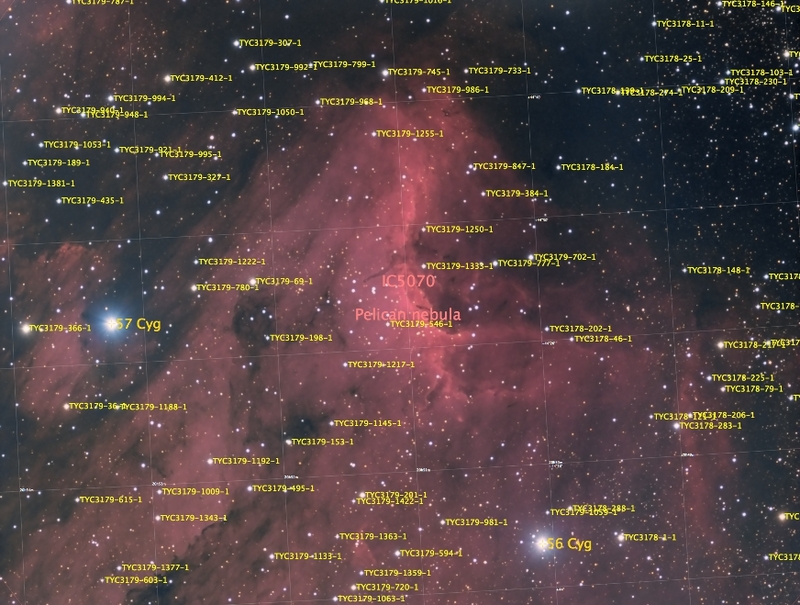 It is a very active region of star formation — these new stars are ionizing gas clouds and creating a very strong Hydrogen Alpha emissions area. 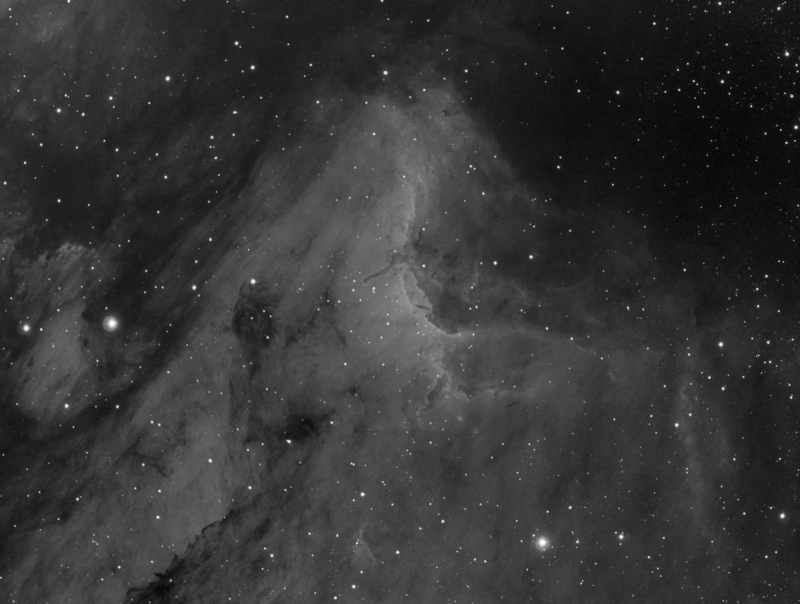 Below is a black and white image showing just the narrow band hydrogen alpha channel in the image – demonstrating just how active an Ha region it is.